Looking at Nesso, Italy across Lake Como from Brienno. Finally, one night shot here that worked. I was holding my breath and bracing myself against a building. 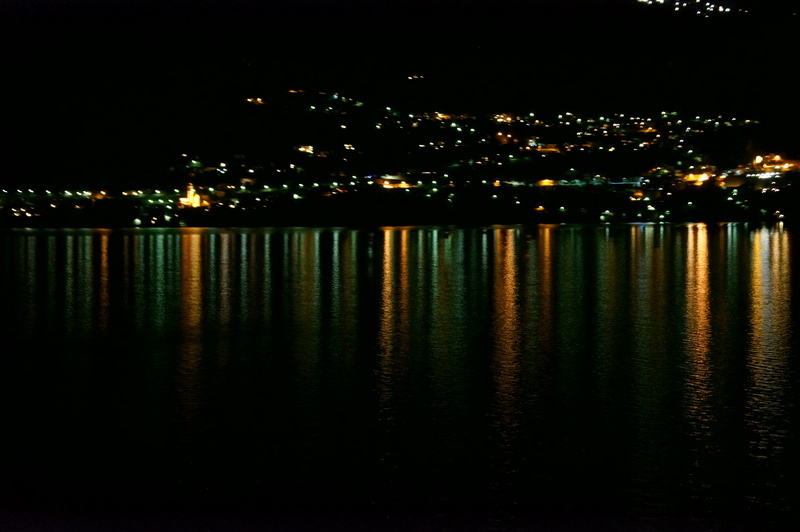 The lights on the water are in focus! 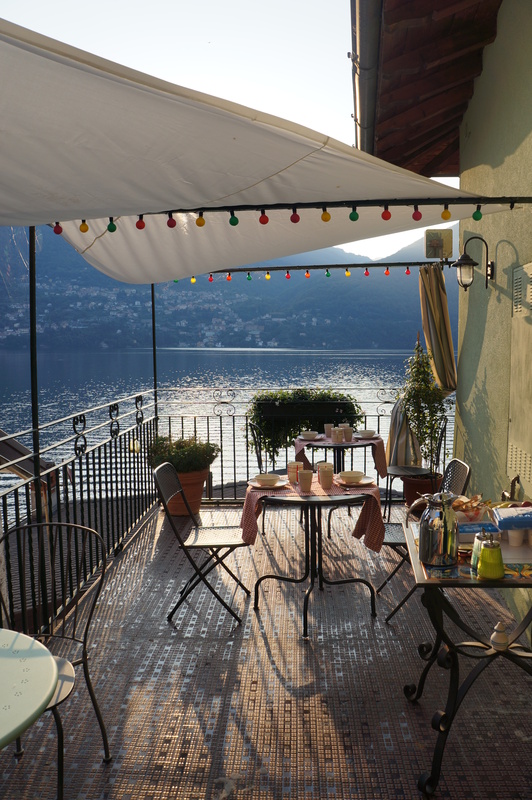 Next morning on the terrace with Nesso across the water. Breakfast awaits!